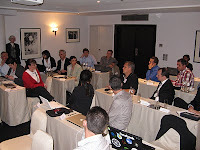 The EMEA Oracle Usergroup Community or EOUC meets twice a year. 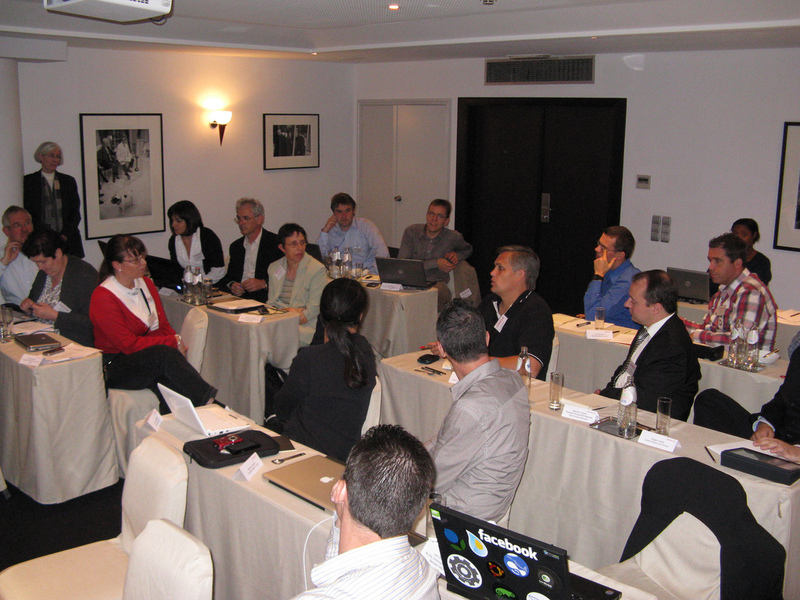 It consists of all the presidents of user groups in that region. I am not officially a member as I am not the UKOUG President, but I do have a role as leader of the Product Development Committee. We have been to Brussels before, it is centrally located and has good air conncetions, but normally we are in a hotel rght by the airport, this is very convenient but this time we were in the city centre and it gave me a chance to catch the Open Top bus and do a quick tour of the city I have visited before and seen nothing off. I wanted to be there to talk about how usergroups were included and thanked in the Fusion Apps launch, and how Applications Marketing want to work with usergroups as they do their rollout sometime next year. I think this is so important, long after the marketing machine leaves town, customers will be asking their user group leaders questions. The latest meeting took place in Brussels on the 12 & 13 October, but this meeting was very different as we were joined by some of the Java Community Leaders. I am not sure what they thought about us ahead of the meeting but we certainly learnt from each other and by the end we realised that apart from our ‘dress’ we were closer than we thought. I should explain they thought we were more formerly arranged than they are which shows in their less formal attire. They had much to teach us, especially around their use of technology for digital content, which they were readily happy to share with us. It really doesn’t matter how individual groups are arranged or what their leaders wear, the beauty of all user communities that are truly independent is that their steer is from their members not from any vendor or umbrella organisation. This brings me back to Oracle the Vendor. They created the regional communities and the top level IOUC when the number of user groups meant they could no longer deal with all separately. I think that was a very important move and it has on the whole been very successful. There was perhaps too much bureaucracy to start with, having boards in each community but they have now gone. However the regional groups outside the US have a very important role to play. 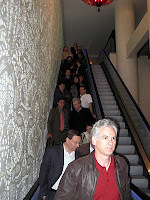 Yes all user group leaders are included and invited to the main IOUC Presidents Summit in January but it is not practical for everyone in the regions to attend. San Francisco is not a cheap option for a small usergroup struggling to keep afloat in these economic times or where the cost of living means their entire budget would go on one trip. For the past few years there have been elected ‘spokespersons’ in EMEA who have represented and feedback to their colleagues in EOUC. Their expenses were funded by Oracle but are no longer, I think is a big shame and I don’t really understand why although as I said at the start I am not a member and am not privy to all conversations. However the Presidents want a spokesperson and at this EOUC meeting agreed that they would fund the costs between themselves, such was their commitment. The term spokesperson has been replaced by Ambassador which I think is more fitting and I am delighted that Heli Helskyaho (Finland) and Janni Ekelson (Benelux) have agreed to represent till the next EOUC meeting. I think I have said it before but UKOUG and the DOAG (Germany) are the biggest two user groups in EMEA and whilst we support all our EOUC colleagues we would not be the right people to represent the smaller groups. This must come from within them. Thank you Jackie and Marcia for arranging the meeting and for my invitation; Mary Lou for flying over to keep us in check and to Lenz Grimmer, Oracle MySQL Community Relations Specialist EMEA for the great photos. Thankyou Antonio, this is a great letter and I hope we do work together more in the future. At the very least it is important for the JUG leaders to get together, we learn so much from each other. Hi Debra, nice writeup, thank you. It was nice meeting you in Brussels! It was a really insightful meeting for me.